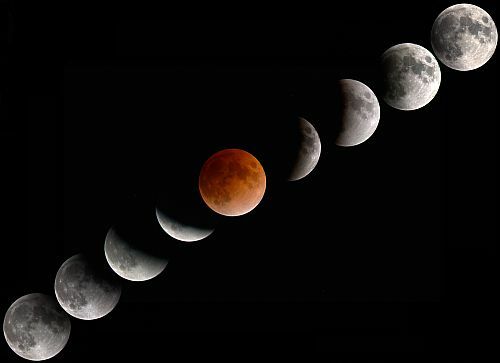 Total lunar eclipse will take place on April 15th, 2014, the first of two total lunar eclipses in this year. This eclipse will be visible over east Australia, New Zealand, Pacific, North and South American continents. Majority of Asia, Europe and Africa will not be able to see this eclipse, so its effects does not apply to those countries. Moon will enter the penumbral shadow at 00:35 UTC, and the umbral shadow at 5:58. Totality of eclipse will last for 1 hour 18 minutes, between 7:07 and 8:25. Moon will leave the umbra shadow at 9:38 and the penumbra shadow at 10:38 UTC. This lunar eclipse happens when Moon is transiting from Virgo to Libra and total eclipse is occuring with Moon in Chitra nakshatra’s 3rd quarter (paada) in Libra (Thula Rasi). Moon will be under complete influence of Rahu (North Node of Moon) during this day and will be aspected by four planets (Mars, Rahu, Saturn, Ketu). This eclipse will be affecting people born with personal planets and points at approximately 25 to 10 degrees of the signs Pisces-Aries, Gemini-Cancer, Virgo-Libra, Libra-Scorpio and Sagittarius-Capricorn most significantly. Partial lunar eclipse is visisble at Moonrise in New Zealand, Pacific Islands, Australia, Japan, Korea and at Moonset is West Africa, West Europe, Brazil etc. People born with moon under Libra, especially in Chitra Nakshatra should watch their emotions during next two weeks. 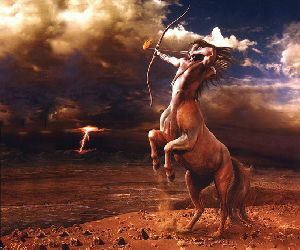 In general, this eclipse is good for people born under moon signs of Aquarius, Leo, Taurus and Sagittarius. Economically & Politicially, this is not a progressive period for many countries. Climate will be abnormal in next two weeks from this eclipse.